Owner Rod Ficek had spent 10 years in the financial services industry and his wife Heather was a teacher who had taught in both the school system and at Assiniboine Community College. They purchased the office of A.C.Clark Insurance on Jan 1, 1986. AC ‘Sarge’ Clark had been in business for approx 40 years. In the early 1990’s the business expanded by purchasing the insurance division of Brandon Realty, and then in the late 1990’s Ficek’s purchased Crang Insurance office in Shilo Mb. In 1999 the Shilo office was moved into Brandon to its current location at 1439-1st Street (1st St and Richmond Avenue). In the early 2000’s Rod and Heather’s children began to enter the insurance field. Two children still remain in the business with Rod and Heather. Danon as…………………………….. and Sabrina Bambridge (nee Ficek) as………………………………. In April of 2012 the 6th Street office was moved to the Murray Chrysler Building in the Murray Auto Group at 1550A Richmond Ave. Brandon. This location services the Murray Auto Group as well as the west end of Brandon. 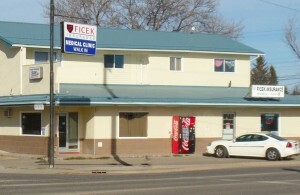 The business started as a 1 man and 1 part-time person office to now Ficek Insurance employs 10 licensed insurance brokers and has 2 locations. In 2015 Ficek Insurance will be in its 30th year of business having grown from a small, not even a Mom and Pop shop, but a Pop shop to a 2 branch 10 person operation.